Tá An Lab sásta a fhógairt go bhfuilimid roghnaithe tré phróiseas comhairliúcháin le príomheagrais pobail bhaile Dhaingean Uí Chúis, chomh maith le Roinn na Gaeltachta, Údarás na Gaeltachta agus Foras na Gaeilge, chun a bheith ina phríomh-eagras agus Plean Teanga á chur le chéile do bhaile Dhaingean Uí Chúis. Déanfar seo i gcomhar leis na páirtithe leasmhara agus le pobal na háite. Is dúshlán mór an tionscnamh seo do An Lab ach táimid ag súil go mór le bheith ag obair go dlúth le muintir an bhaile agus le bheith ag tacú leo chun a gcuid smaointí agus riachtanaisí maidir leis an dteanga a chur in iúl. 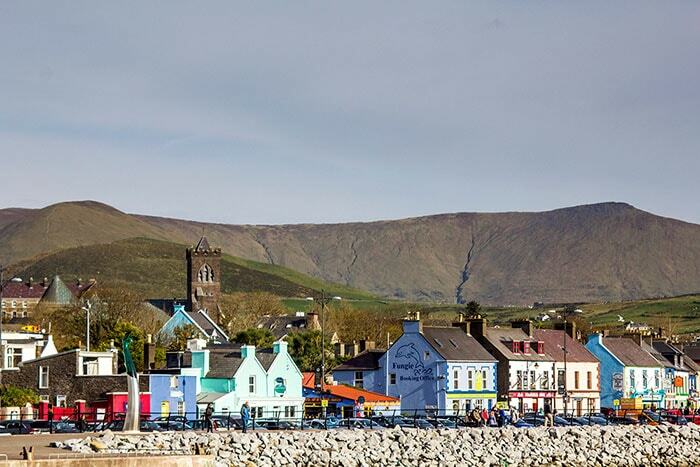 An Lab is pleased to announce that we have been chosen, through a process of consultation with the principal community organisations in Dingle, as well as with Roinn na Gaeltachta, Údarás na Gaeltachta and Foras na Gaeilge, to be the lead organisation in the preparing of a Language Plan for the town. This will be done in partnership with the relevant bodies and with the town's community. This project is a big challenge for An Lab but we are looking forward to working closely with the townspeople and to supporting them in communicating their thoughts and needs regarding the Irish Language. Is amharclann agus ionad ealaíne a fheidhmíonn tré mheán na Gaeilge é An Lab, atá lonnaithe i sean-scoil na mBráithre Críostaí ar an Meal i nDaingean Uí Chúis. Ó 2008 ar aghaidh tá An Lab ag obair chun imeachtaí ealaíne Gaeilge agus dátheangacha a chruthú is a chur chun cinn ar an mbaile. Tá nasc láidir againn leis an bpobal agus le healaíontóirí éagsúla sa dúthaigh a shaothraíonn i réimse leathan disciplíní cruthaitheacha, ach bímid go minic ag obair le healaíontóirí ó áiteanna eile in Éirinn agus thar lear chomh maith. An Lab: who are we? An Lab is a theatre and arts centre working through the medium of the Irish language, based in the old Christian Brother's School on the Mall in Dingle. 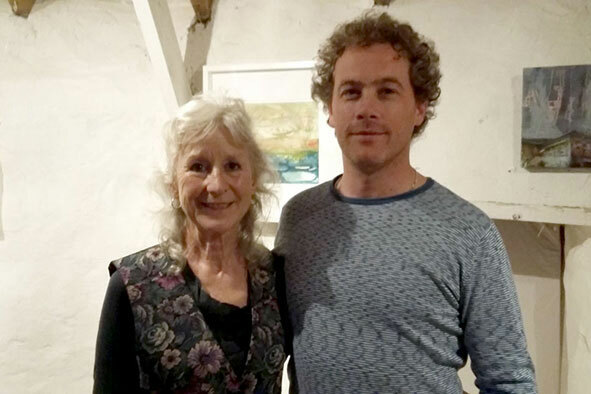 Since 2008 An Lab has been working to create and promote Irish and bilingual artistic events in the town. With strong ties to the community and artists in various disciplines in the local area, we also host and collaborate with artists from elsewhere in Ireland and abroad. Áine Moynihan, Simon Ó Faoláin, Risteard Mac Liam, Mícheál Ó Muircheartaigh, Helena Ní Chonchúir, Annette Cremin, Muireann Nic Giolla Rua, Mícheál Ó Coileáin. Plean Teanga - Cad É Seo? Tugtar feidhm reachtúil don bpróiseas pleanála teanga in Acht na Gaeltachta 2012, áit a leagtar síos an próiseas féna bhféadfaidh pobail i gceantair éagsúla aitheantas a bhaint amach mar Limistéir Pleanála Teanga Ghaeltachta, mar Bhailte Seirbhíse Gaeltachta nó mar Líonraí Gaeilge. Is gá don eagras atá freagrach as plean teanga a chur le chéile tabhairt fé thaighde agus comhrá a chothú leis an bpobal áitiúil. Seo chun déanamh amach cad iad na slite is fearr an Ghaeilge a bhuanú is a chur chun cinn sa phobal sin. Bunaithe ar an bplean a chuirfear féna bhráid, cuirfidh an rialtas airgead cuí ar fáil thar tréimhse seacht mbliana chun na céimeanna molta sa phlean sin a chur i bhfeidhm. What is a Language Plan? The language planning process was begun by the government in 2012, with legislation laying down the way in which communities in various areas can achieve recognition under one of three categories: a Gaeltacht Language Planning Area, Town Serving the Gaeltacht [Gaeltacht Services Town] or as an Irish Network. Each language plan must undertake research and communicate with the local community to identify the best available means for preserving and promoting the use of Irish in that community. Based on the language plan submitted, government will provide funding for a seven year period of implementation of the measures suggested in the plan. Agus 'Baile Seirbhíse Gaeltachta', cad é sin? Is éard atá i gceist le Baile Seirbhíse Gaeltachta ná baile atá suite i Limistéar Pleanála Teanga Ghaeltachta nó taobh leis agus go bhfuil ról suntasach aige ó thaobh seirbhísí poiblí, saoráidí áineasa, sóisialta agus tráchtála a sholáthar don limistéar sin. Caithfidh daonra de 1,000 duine ar a laghad a bheith i mbaile, de réir an daonáirimh is deireanaí, chun gur féidir é a áireamh mar Bhaile Seirbhíse Gaeltachta. Bhí Daingean Uí Chúis ar cheann de thrí bhaile (An Gaillimh agus Leitir Ceanainn an dá cheann eile) a roghnaigh an rialtas mar na bailte is túisce a thabharfaí deis dóibh stádas a bhaint amach mar Bhailte Seirbhíse Gaeltachta. And what's a 'Gaeltacht Services Town'? A Gaeltacht Services Town is defined as a town situated in a designated Language Planning Area or nearby and which has a significant role in providing public services, as well as entertainment, social and trade facilities to that area. A town must have a population of at least 1000, based on the most recent census, in order for it to be included as a Gaeltacht Services Town. 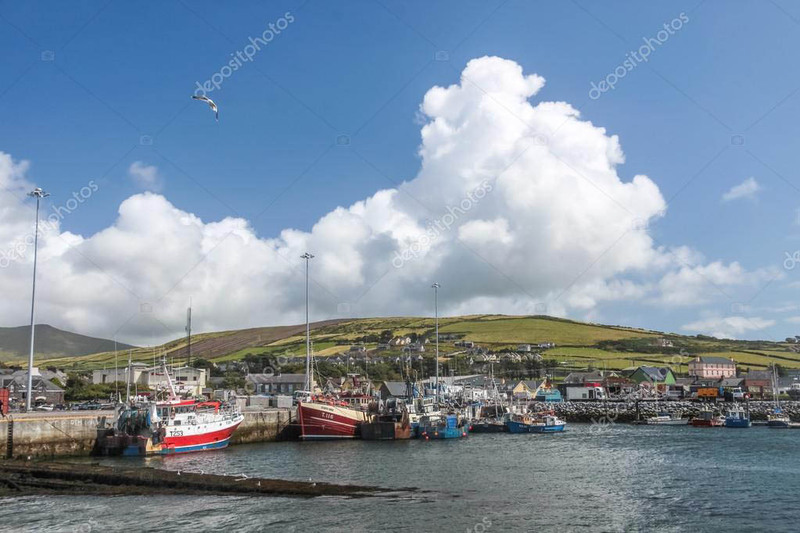 Dingle was one of three towns (Galway and Letterkenny being the others) selected by government to be the first towns given the opportunity of gaining Gaeltacht Services Town status. Bhuel, cad é ár bPlean, más ea? Tá ard-mheas agus cion ag formhór de phobal Dhaingean Uí Chúis ar an nGaeilge. Tá sí á labhairt go rialta i gcuid mhaith tithe agus siopaí agus ar na sráideanna. Is cuid thábhachtach í de shaol an bhaile. Cabhraíonn sí, leis, chun na sluaite cuairteoirí a mhealladh chughainn gach bliain. Deis atá sa phlean seo chun cur leis an líon daoine a labhraíonn Gaeilge, chun tacú leo siúd atá ag foghlaim agus chun cur leis na háiseanna is leis na hócáidí a gcabhróidh leis an bpobal a theanga dhúchais a chur chun cinn. Tá tréimhse dhá bhliain ann chun an plean seo a ullmhú agus seacht mbliana eile chun é a chur i bhfeidhm. Tá sé mar aidhm ag An Lab, le tacaíocht agus comhoibriú ón bpobal, an plean a bheith curtha i gcrích agus ullamh le cur os comhair an phobail faoi dheireadh na bliana seo. Táthar ag súil go dtabharfaidh an próiseas seo spreagadh do dhaoine eile sa phobal teacht ar aghaidh le fonn agus le díograis chun a bplean féin a chur i bhfeidhm! So, what's our Plan then? Most of the people of Dingle have a high regard and affection for the Irish language. It is spoken regularly in many houses and shops, and on the streets. It's an important aspect of the life of the town. It also helps to attract thousands of visitors every year. This plan is an opportunity to increase the number of Irish speakers in the town, to assist those who are learning or who wish to learn, and to further the provision of facilities and occasions which will enable the community to strengthen and promote their native tongue. A period of up to two years is allotted for the preparation of a plan and a further seven years for its implementation. An Lab aims, with the assistance and co-operation of the public, to have the plan completed and ready to be presented to the public by the end of the year. It is hoped that this process will encourage others in the community to come forward with enthusiasm and undertake the implementation of their very own plan!